Holiday Gift Guide for Her 2016 Giveaway! There’s no avoiding it now – the holidays are here! Really they have been upon us for weeks now with Christmas music playing in stores and holiday décor springing up everywhere. Now that we are at the start of this holiday season, I want to make your holiday shopping a little easier! I’ve spent some time compiling some of my favorite items from brands I’ve worked with over the past year to bring you my 2016 Holiday Gift Guide for Her! This guide is for any girl who loves style, beauty, and pretty things. Basically it’s for EVERY girl! This list is full of ideas for your own holiday gifts, and they are all from brands that I love who have some amazing products. I hope you enjoy some of my favorites below, and at the end of the post I’m giving away the WHOLE guide! That’s right – one lucky reader will receive everything on my 2016 Holiday Gift Guide for Her! The whole guide is full of some amazing items so I’m actually very jealous that I can’t win this one myself! Read on for details of my favorite gifts for this holiday season! I don’t know about you, but one of the products I go through the most in my beauty arsenal is dry shampoo. I can’t live without it. Half of my hair is made up of dry shampoo at this point. Especially with the whole mom-on-the-go situation and always-late-for-everything trend I’m unfortunately rocking, dry shampoo is a life saver! This year I used EVA NYC Shampoo and Conditioner for the first time, and I’m still trying to get to the end of my crazy huge bottles from Costco. If you are a girl like me who is always late and doesn’t have time to always wash her hair before an event, this is the perfect combo for you! 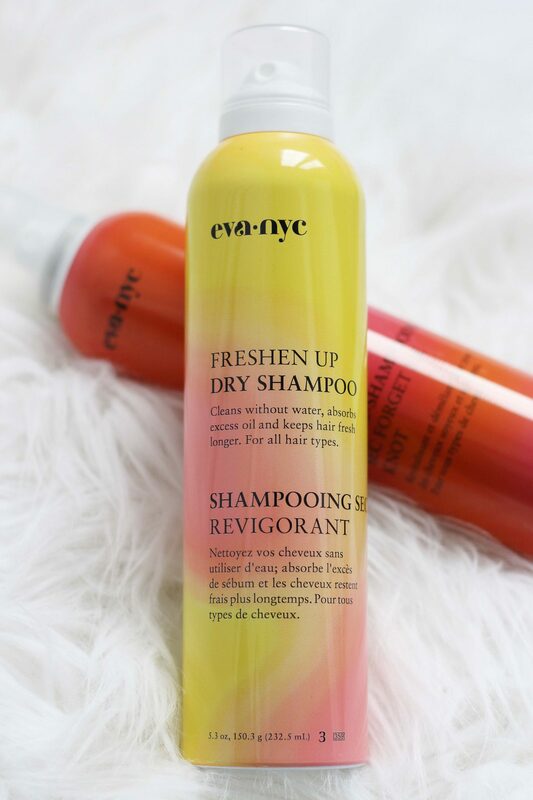 I didn’t even know Dry Conditioner existed until EVA NYC introduced me to it. I’m loving the packaging as well – it’s the perfect stocking stuffer! I don’t know if you have noticed, but I keep posting on the blog about UNIQLO! This brand recently launched two stores in Toronto, and I love their mix of style and affordability. Their clothing is amazing in its quality which is almost unbelievable considering their price points! I am pretty much obsessed with their coats (I’ve been rocking two of them so far this winter), and I had to include the UNIQLO Ultra Light Down Compact Coat! Their down coats are incredibly soft and warm, and this stylish coat is the perfect gift at a fabulous price of $99.90 CAD. This year I’ve been wearing so many great pieces from Shop for Jayu including sunglasses, necklaces and rings! They have fun and unique pieces that last and last without tarnishing, and their styles are always so on-trend! This particular necklace is perfect for the holidays so you may not want to give this one away but instead wear it to make a statement with your favourite sweater or add it to that holiday dress that needs a pop of red! 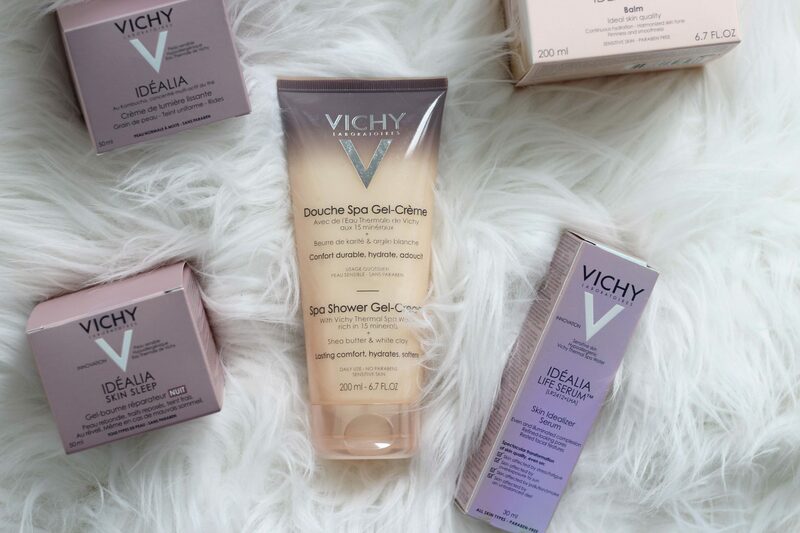 I review Vichy products all the time on the blog for one important reason – their products work! I have a serious love for this brand, and I recommend everything I’ve tried from them to everyone I know. 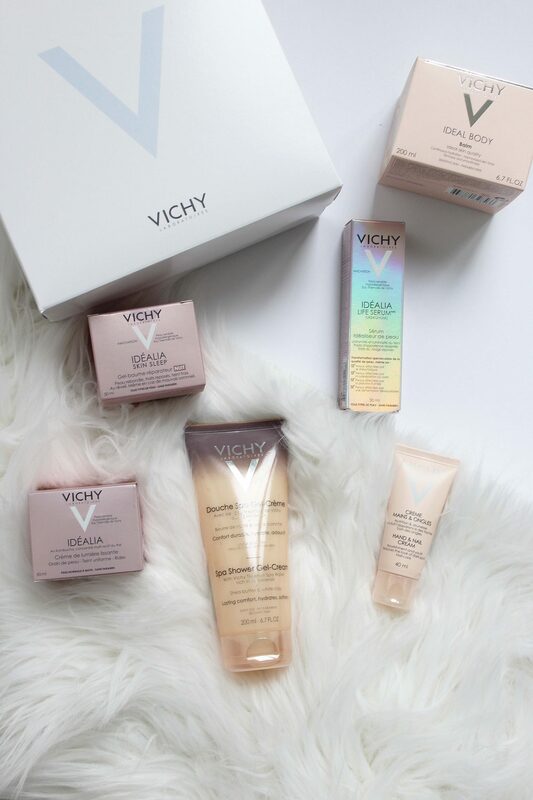 Their products not only do what they say they will, but they are a luxury to use and their packaging is gorgeous – giving Vichy is the perfect holiday gift! 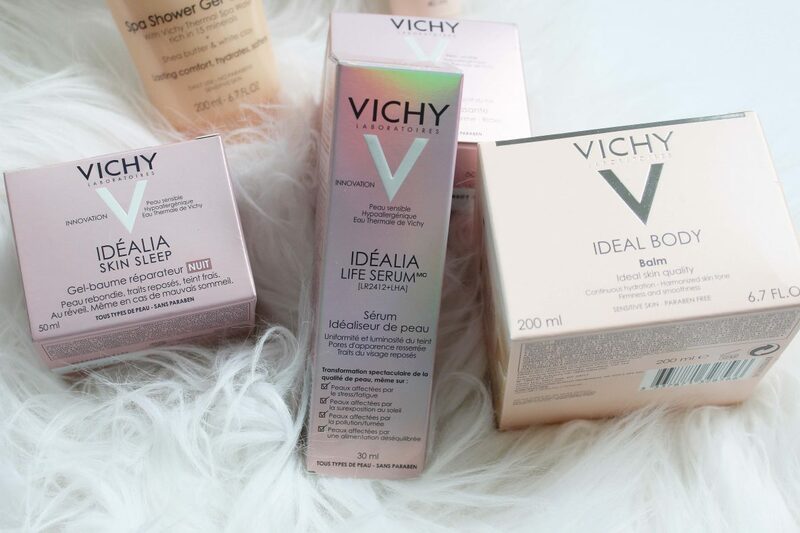 Here are a few of my favourite Vichy items including their Spa Shower Gel-Cream, Idealia Life Serum, Ideal Body Balm, Idealia Skin Sleep, and Vichy’s Hand and Nail Cream. 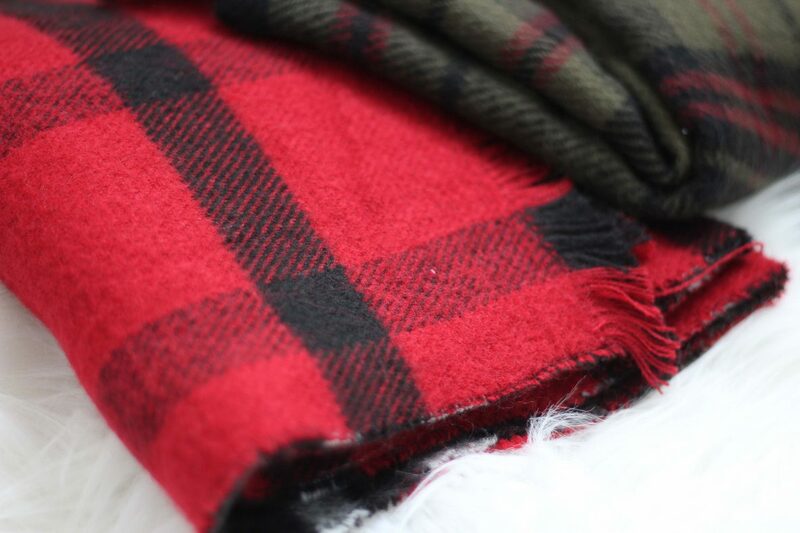 The best part about Joe Fresh blanked scarves? These one’s have a different pattern on each side to make them that bit more interesting, and you can create a totally different look each time you wear them. 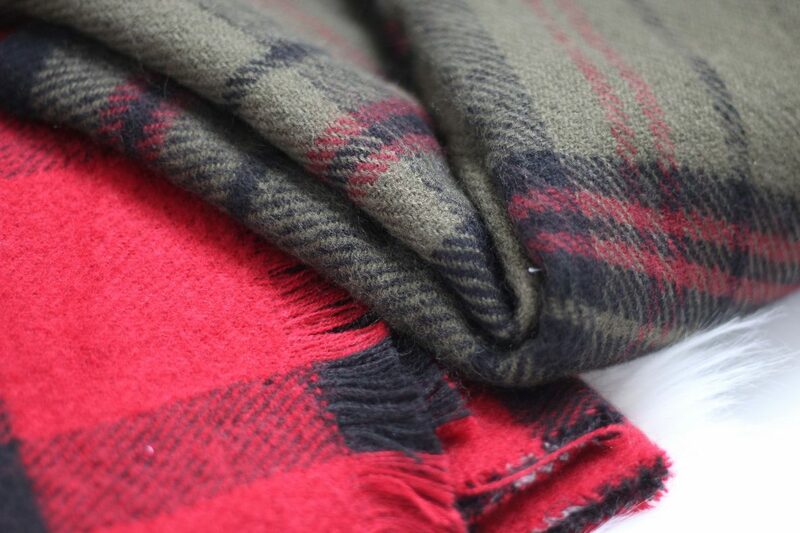 These scarves are so cozy and warm, and if your look is a little bland and needs a bit of fun then adding a scarf can always increase the chic factor to your look. Joe Fresh is the perfect place to hide your shopping purchases from your husband. What’s on your grocery shopping receipt? Eggs, milk, blanket scarf, cereal. See what I did there? It’s like that blanket scarf never happened and just magically emerged from your closet. A scarf is such a versitile gift for any girl because you don’t need to know a person’s size to gift this item – one size fits all! 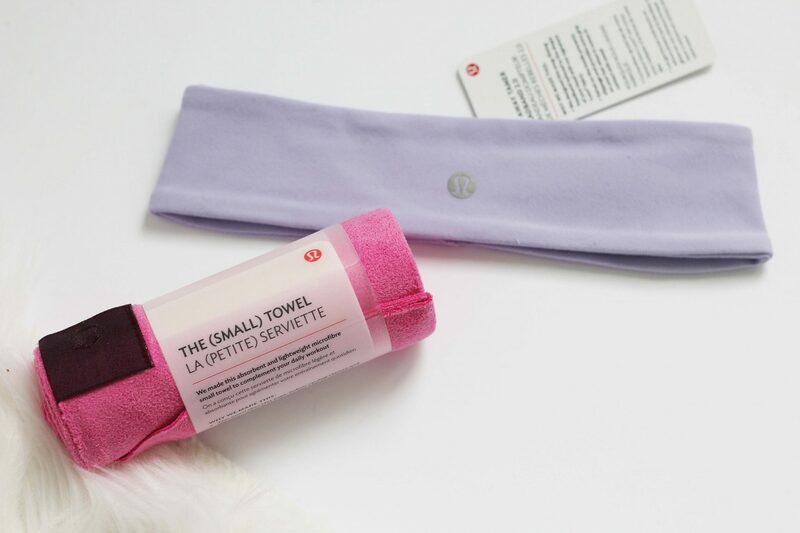 Another one-size-fits-all kind of gift is this pairing of a lululemon headband and one of their amazingly absorbent towels! 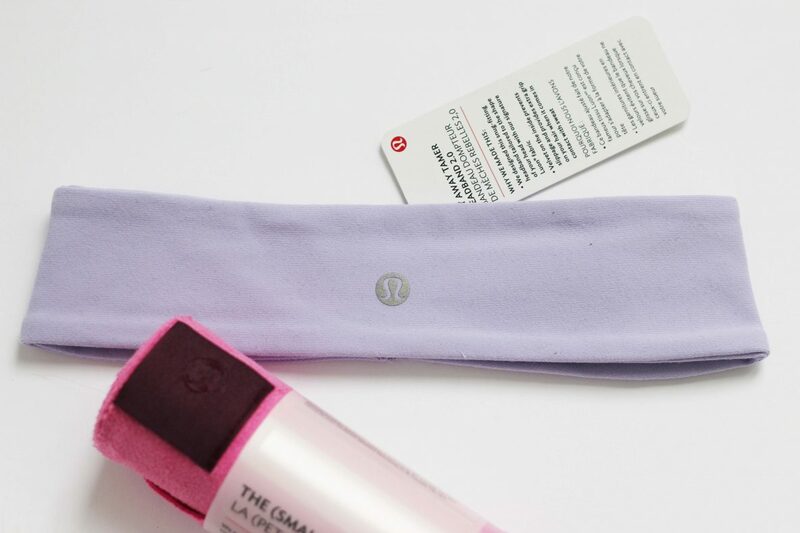 I love wearing lululemon headbands to keep my hair out of my face when I’m running or during Yoga, and I seriously don’t know what I would do without microfibre towel for my hot yoga classes. This gift pairing would be best for a girl who loves yoga or pilates, but also a runner or gal who likes to workout would also appreciate both items! Now for the fun part! You can enter to win all of the items from my holiday gift guide below! Good luck to everyone who enters, and happy holiday shopping! Item’s in this post may have been provided to me for review, but all opinions are fabulously my own. That puffer coat is so good for winter! Girl I totally feel you! I want half of the stuff I put on my gift guides too! Love the dry shampoo! I love that puffer jacket! It looks so warm and would be perfect for the upcoming months! Great gift ideas, & I need to try that dry shampoo for myself! ooh the vichy!! i love all of their products! great list! 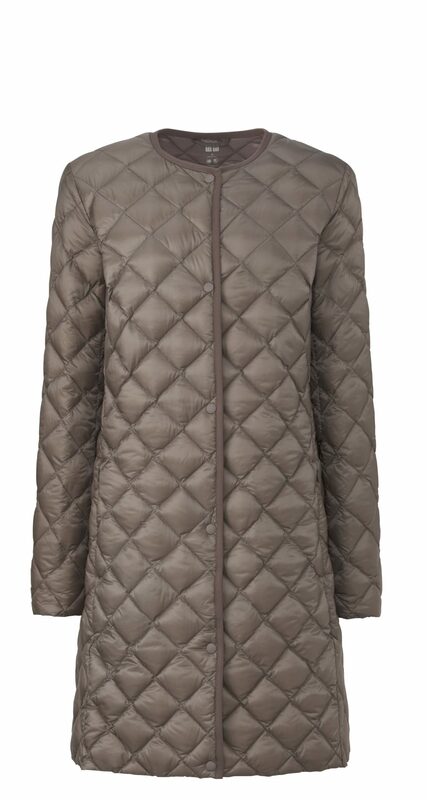 Oh I love a puffer that doesn’t make me look puffy and this one is GORGE! Thanks Mandy! what a great guide! i would be happy with any of these things! Such a great gift guide!!! 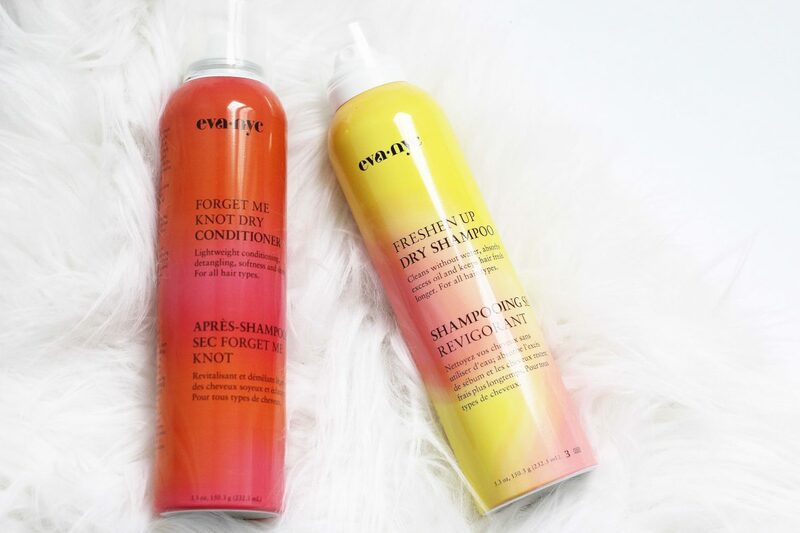 I love the idea of gifting dry shampoo – you can never have too much!!! love the scarfs, the puffer, the statement necklace, —Okay–all of it! I guess that makes me greedy.